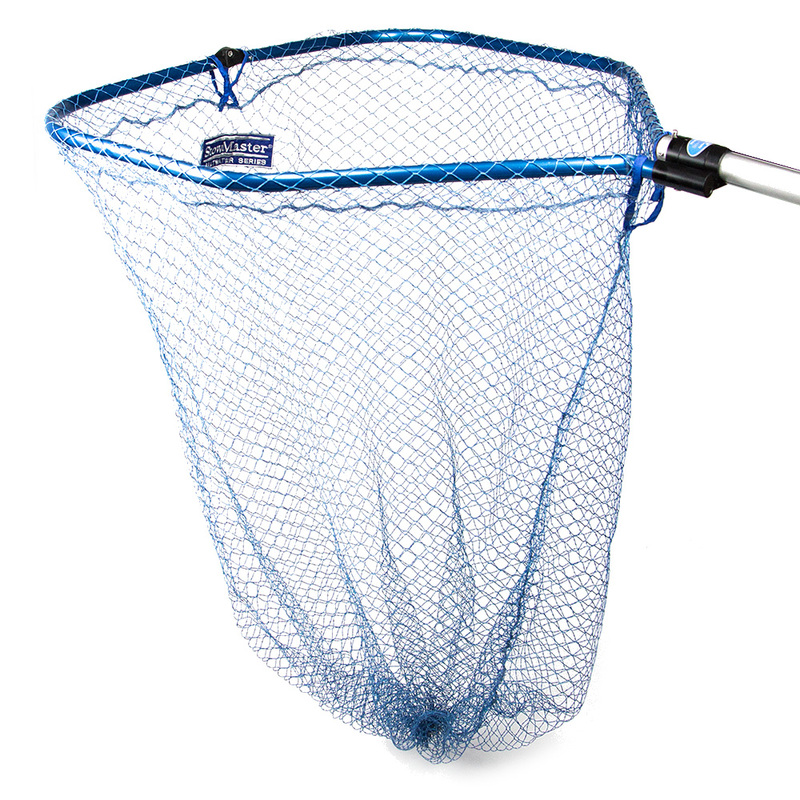 Introducing the world’s first landing net specially engineered and patented to be fish-friendly, ultra-strong, tangle-free and easily stowable. Guaranteed. 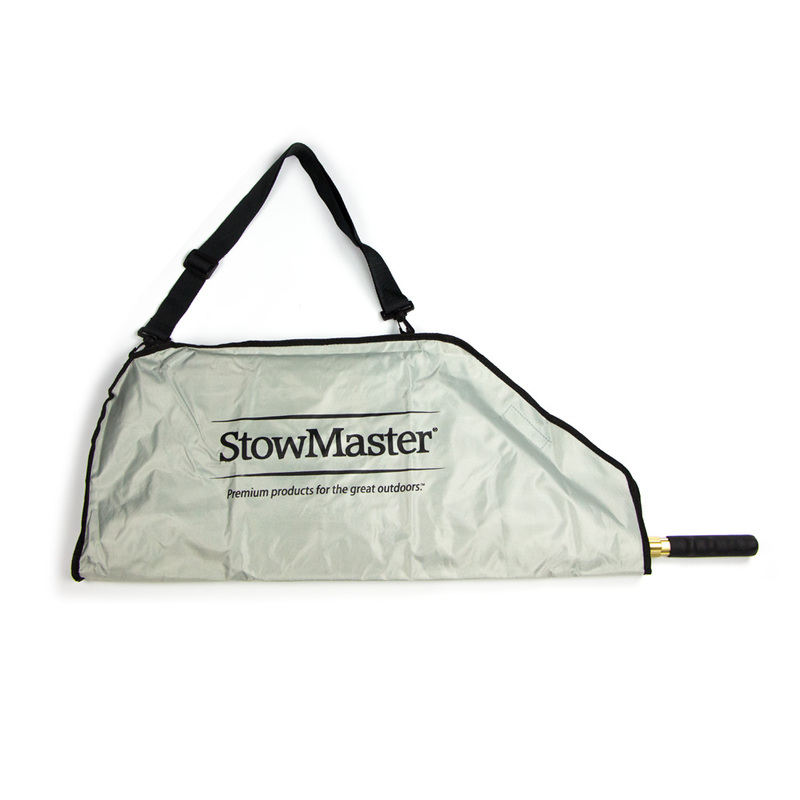 Want to see StowMaster Tournament Series Landing Nets in action? 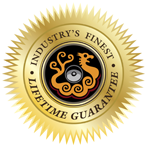 Take a look at our video clips. Extend it, fold it, stow it. 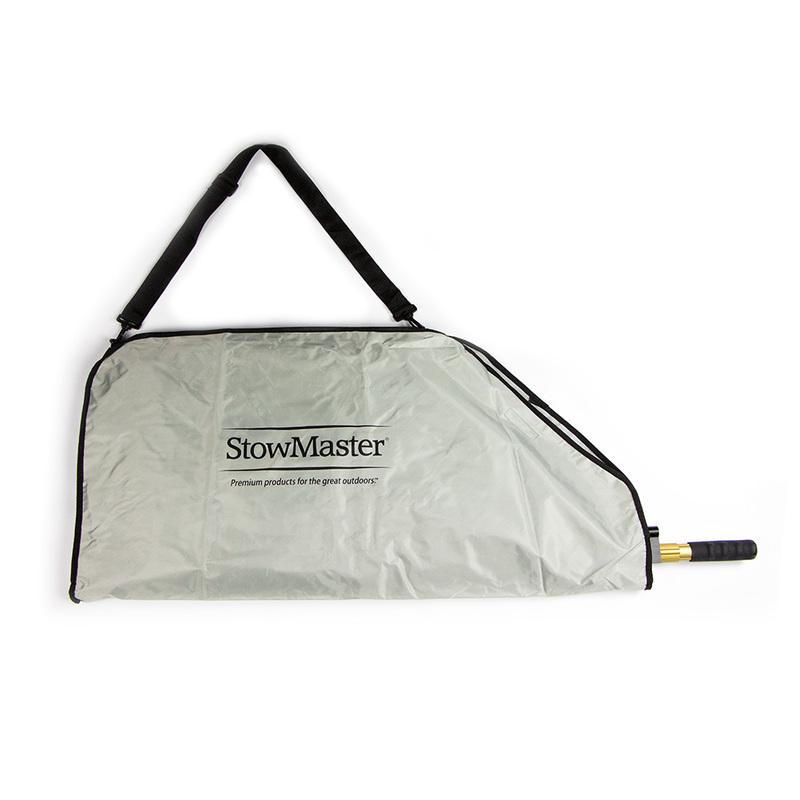 Stowmaster landing nets are fully collapsible for easy storage. 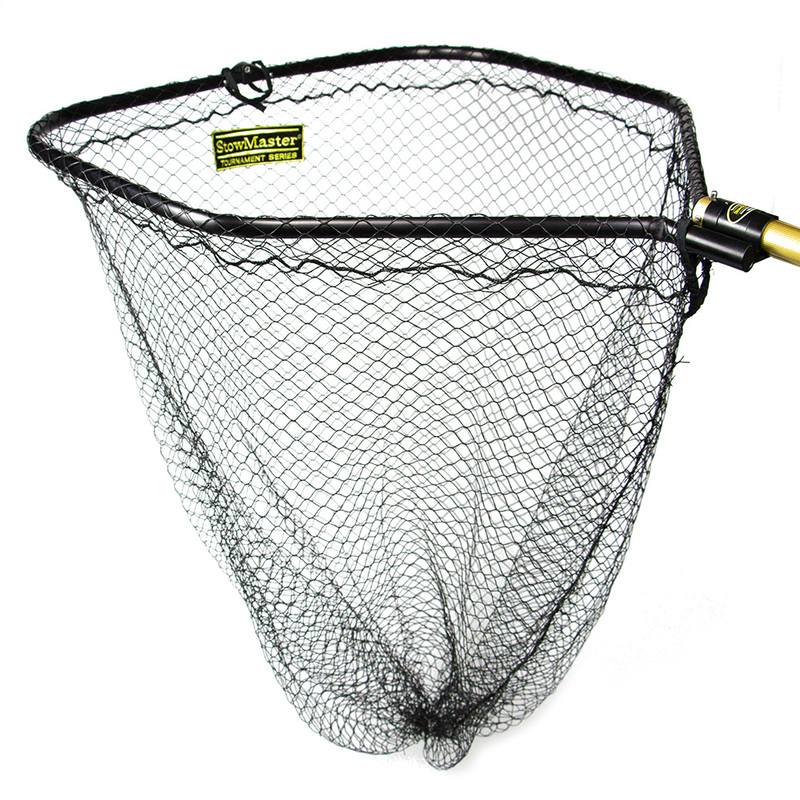 And their minimal weight and engineered strength make them the perfect choice whether you’re salmon fishing in Alaska, charter fishing for trophies or bass fishing on your local pond. Just get it to the boat; we’ll take care of the rest. Annette T-shirt available in M, L, or 2XL. Compact and Convenient – Viva la Revolution! 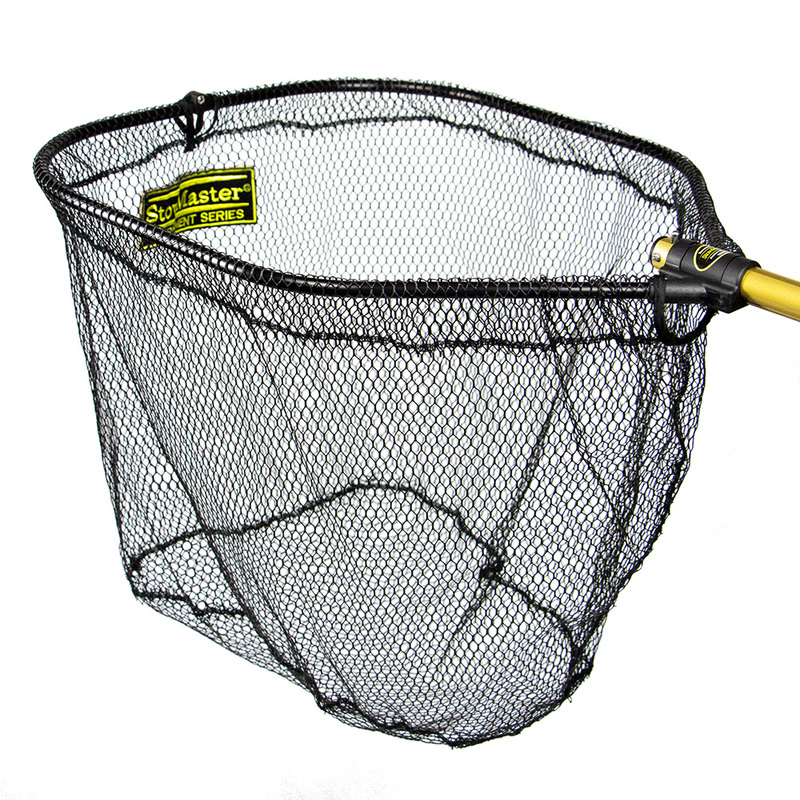 Provide the ultimate protection for your catch! 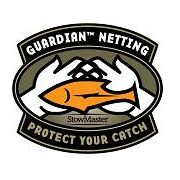 StowMaster’s new Guardian™ netting utilizes a proprietary manufacturing process to treat the net mesh with a special elastomeric rubberized coating. 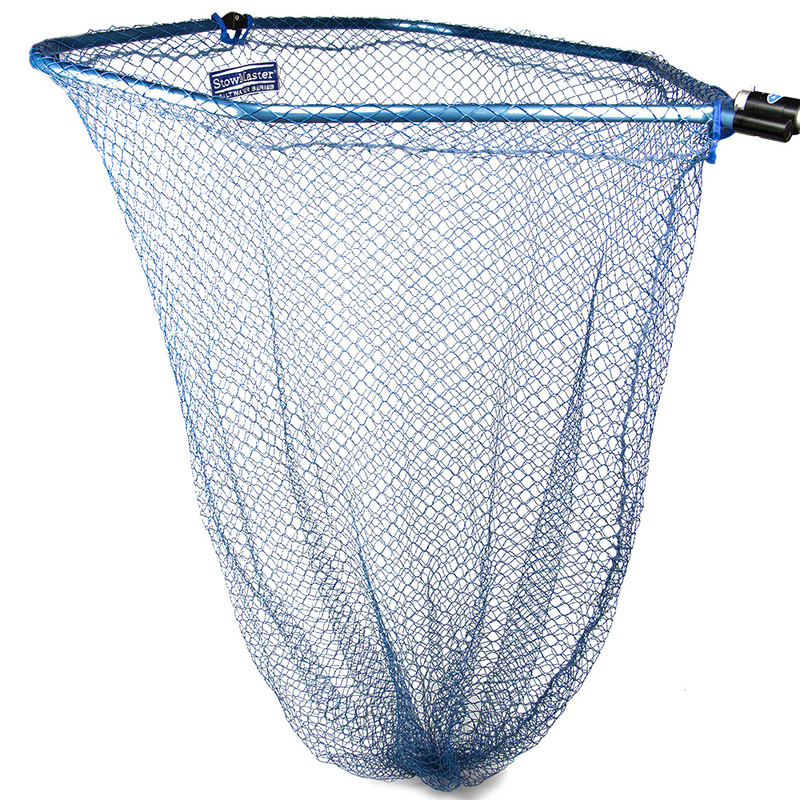 The result is a knotless fish friendly mesh that provides the superior protection and anti-fouling/hooking performance of a full rubber net at a mere fraction of the weight. 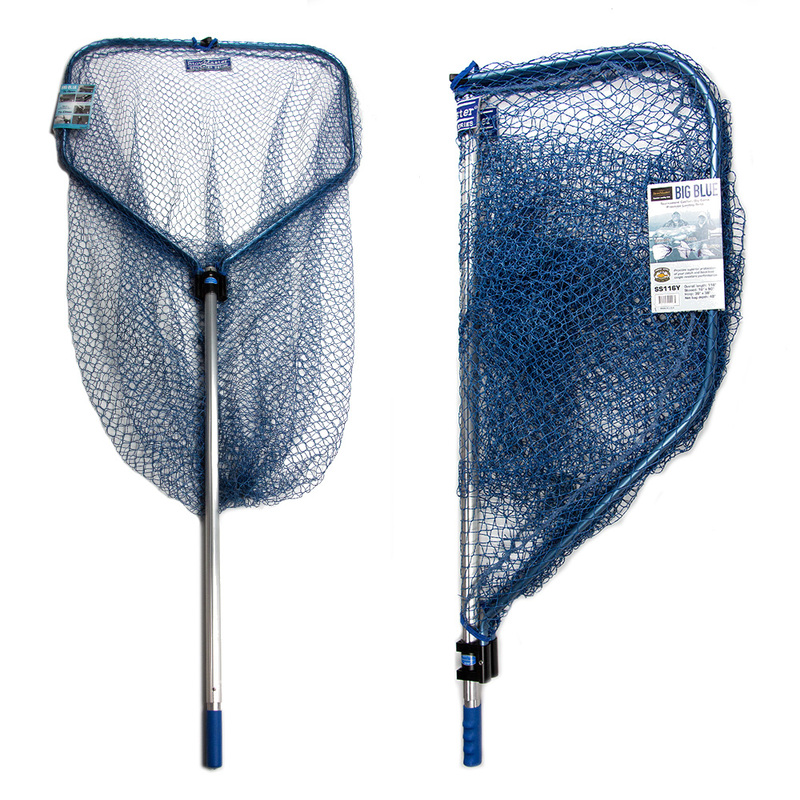 Extra strong multi-braid nylon inner core provides exceptional strength and durability versus traditional netting. Lightweight design sweeps effortlessly through the water. 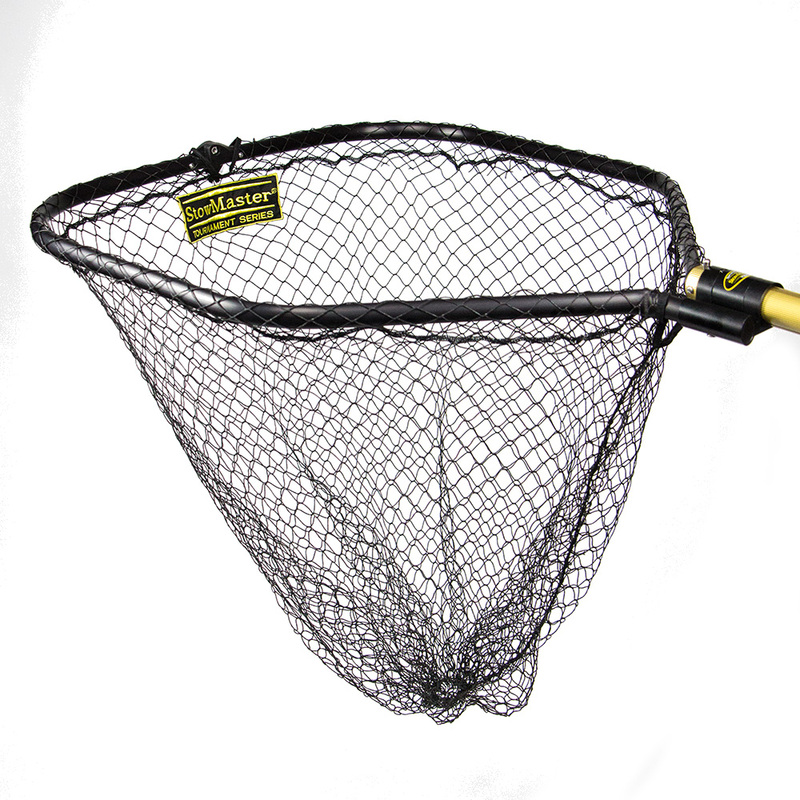 Available in 3/8″ micro mesh and 3/4″ macro mesh sizes. Built tough. But with a gentle side. 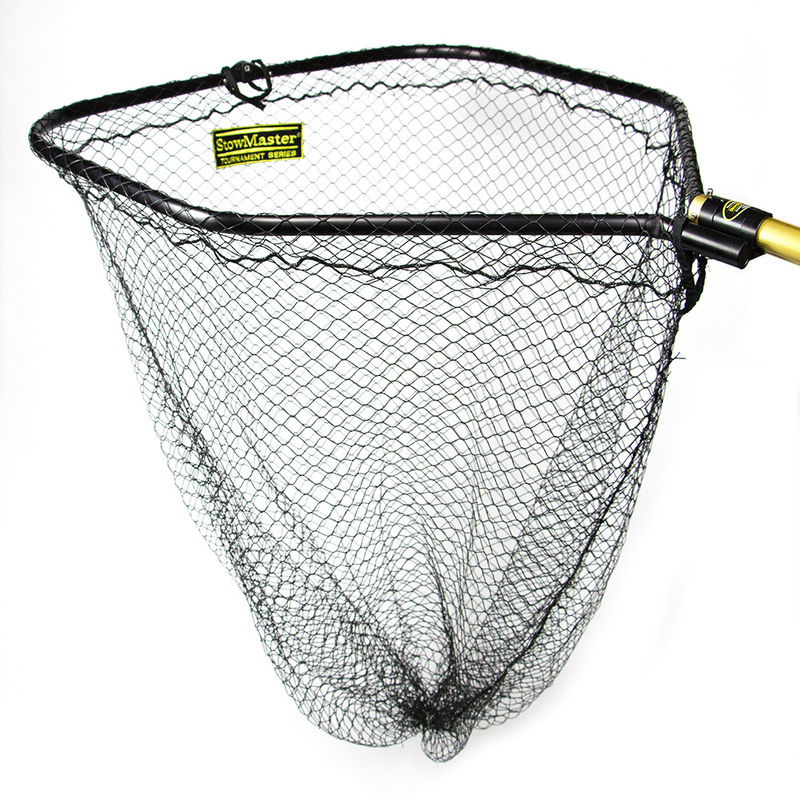 When you’re Muskie fishing in the north woods, or Salmon fishing in Alaska, you can’t take a chance on a weak net. 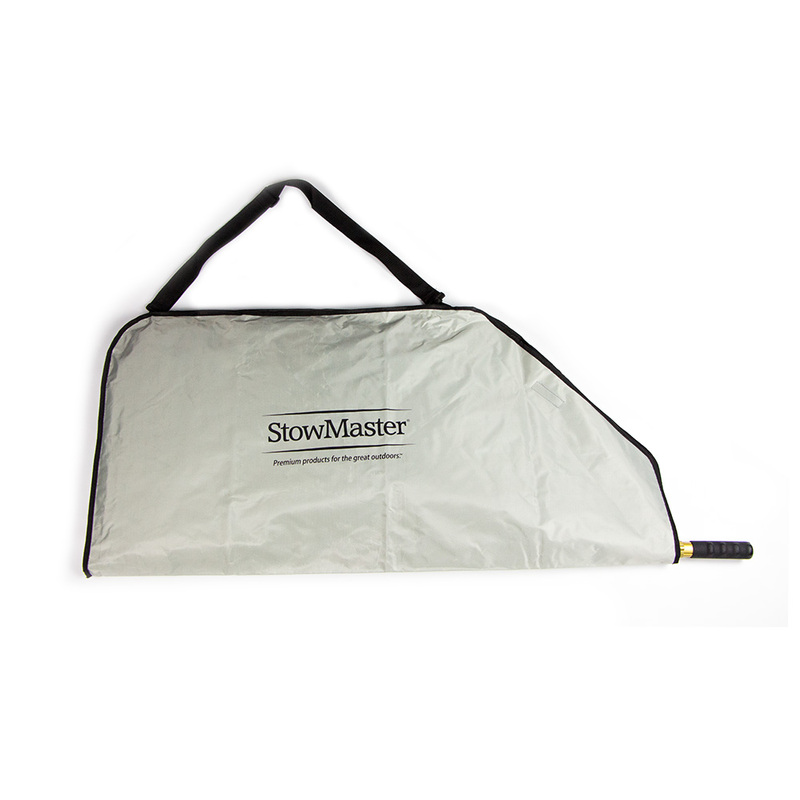 StowMaster landing nets aren’t just constructed, they’re engineered. Engineered so uniquely, we even hold a patent (patent #5,533,293). 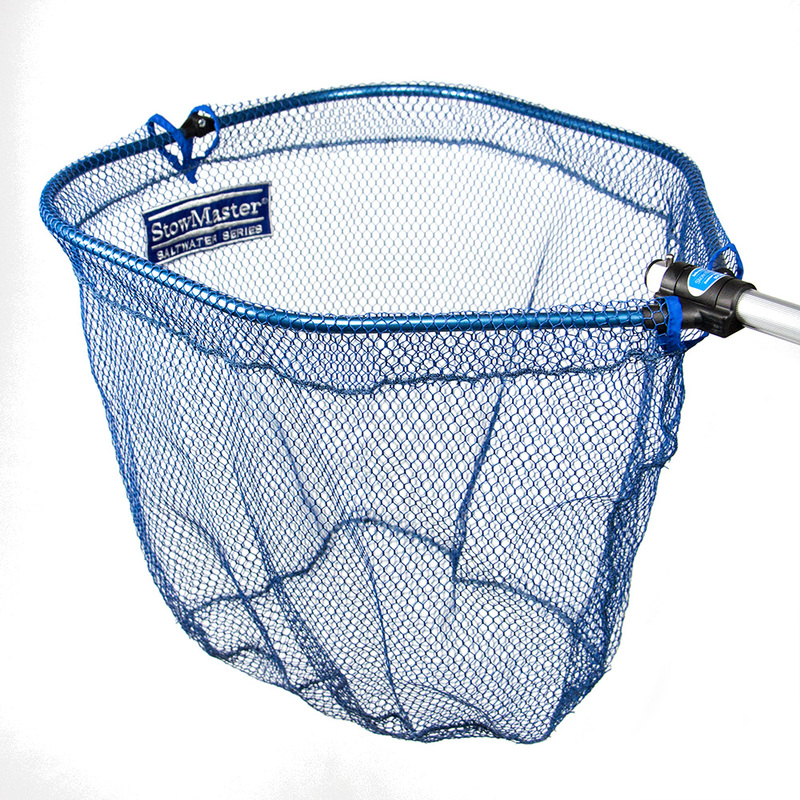 Hoop frames and net handles are made from an aircraft-quality aluminum alloy that’s both light and strong. 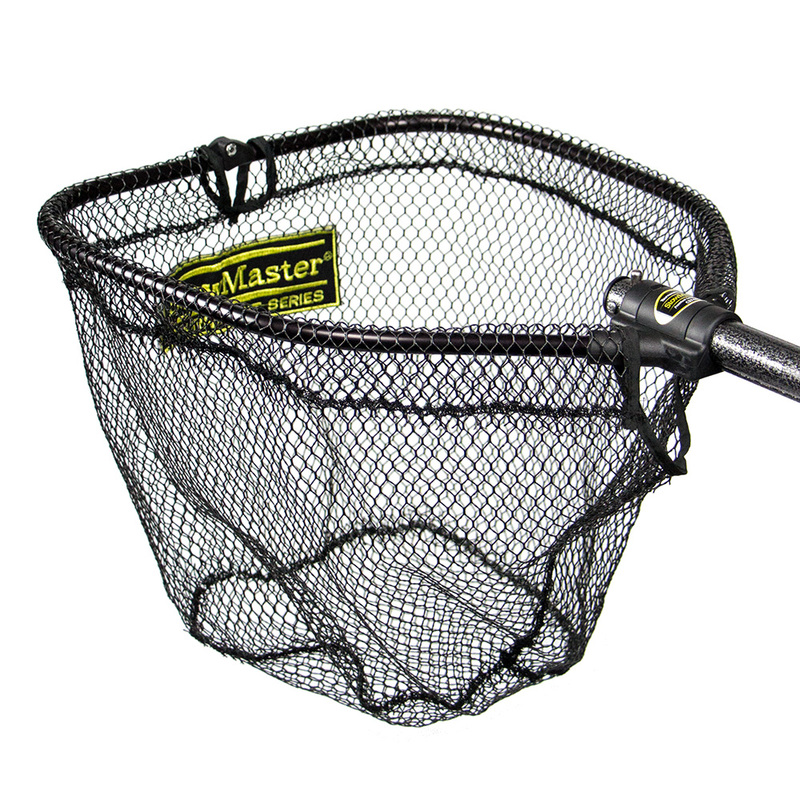 Net handles are designed not to slip or twist when you’re extending them – meaning the locking pin finds its home every time. Every part is crafted with incredible precision – down to the 1/10,000th of an inch. 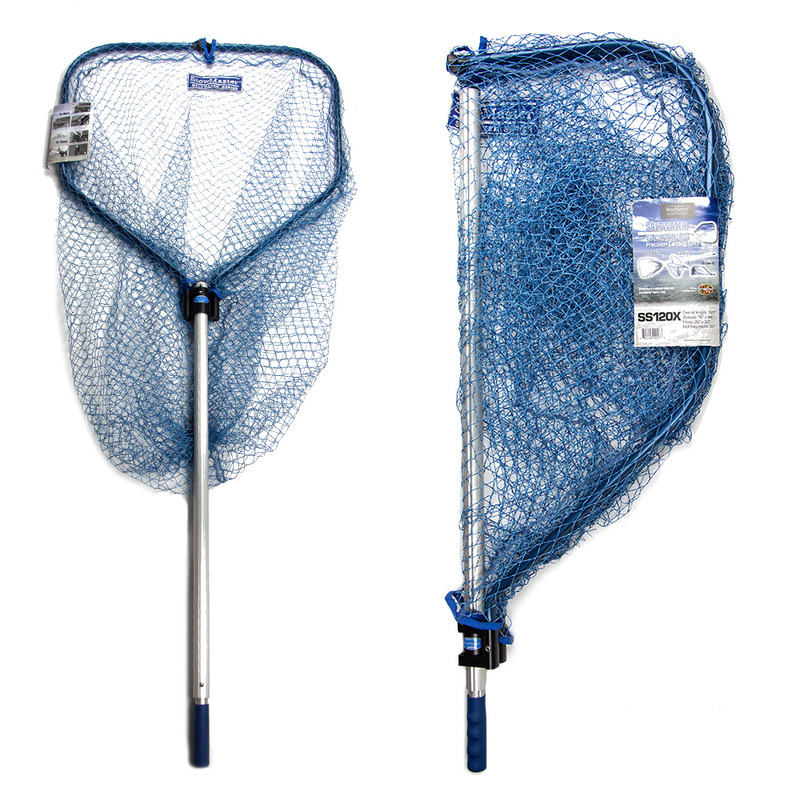 In fact, all Tournament Series Precision Landing Nets™ have a lifetime guarantee against breakage. 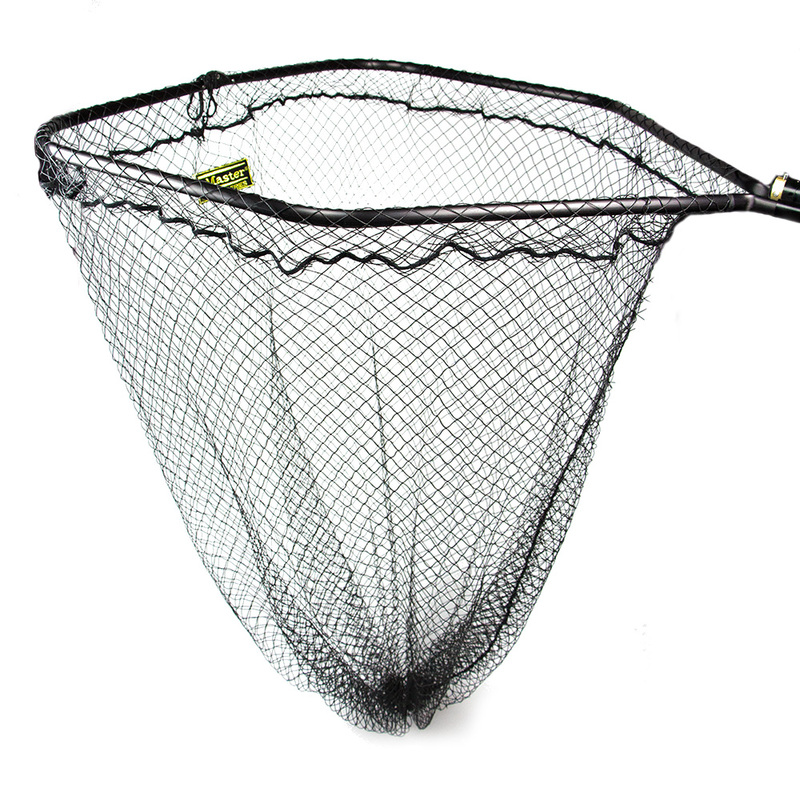 Finally, our specially designed rubber-dipped nylon nets are gentler on the fish’s protective coating – perfect for catch and release. 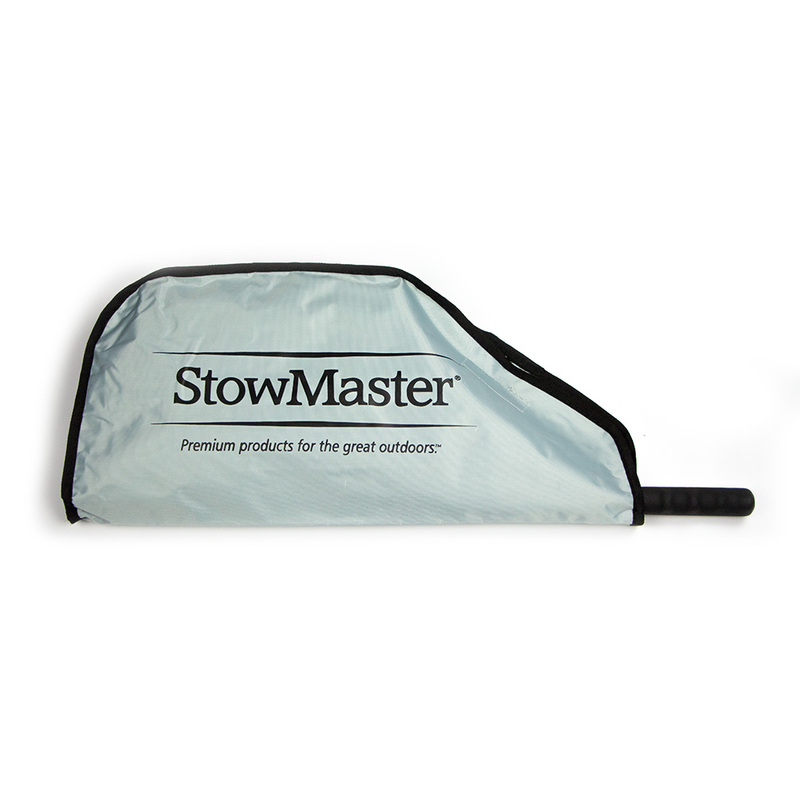 Kevin VanDam demonstrates his StowMaster!